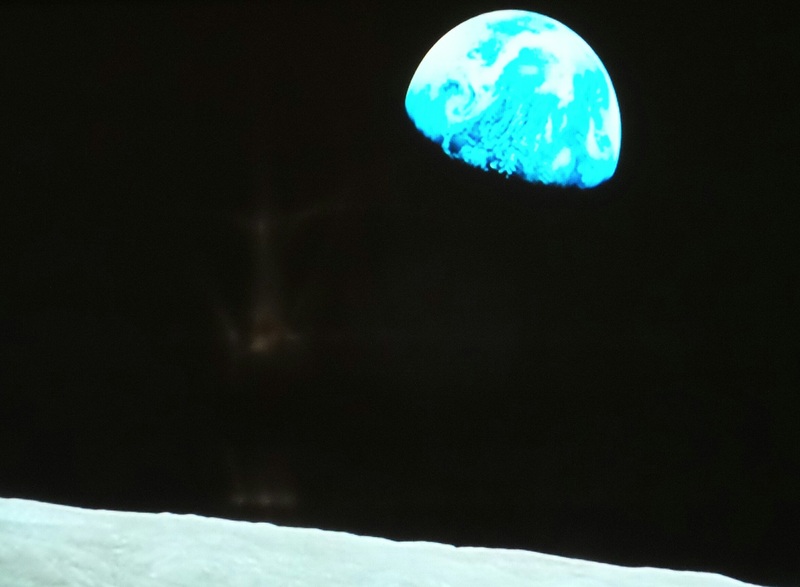 Imagine for a moment, you are sitting on the moon, watching the world as it moves silently across your moon-scape sky. Down beneath you on Earth, the Japanese are building cars and electronic equipment, Chinese are building new blocks of flats for people who can’t afford them. Building Railroads to cities that are inhabited by ghosts; building roads that cars don’t yet need, buying up iron ore, steel mills, and factory machinery; building ever larger vessels to trade across oceans. Buying American Hotels, Tower blocks, and Bank buildings. And quietly accumulating Gold and Silver, like there is no tomorrow, and a nascent motor industry is taking root. Americans in their laboratories, are busily inventing new bio-tech remedies to prevent and treat new diseases. Hi-tech entrepreneurs, are designing new software to create new mega-corporations, and software already written, but which we haven’t learned about yet, is being improved upon, and new uses for old energy sources (more of which later) is being developed. Meanwhile, British businesses, funded by capital from around the world, are building class leading vehicles in Crewe, home of Rolls Royce, and Coventry home of Jaguar Land-Rover, is busy building world-class Jaguars, and Range Rovers as well as numerous other towns and cities too, with increasingly successful manufacturing, all funded from capital raised on world markets, by the financial wizards inhabiting the square mile, where property values there, have been rising in line with the wealth created the world over, but which for its own reasons, seems hell-bent on buying a little piece of this over-crowded country. Germans are building VWs, Mercedes, Porsches and Audis… Italians their Ferraris, Fiats, Alfas, Lamborghinis and Maseratis, and the French, their Peugeots, Renaults and Citroens – to say nothing of the Russian, Czech, Chinese, Brazilian, Indian, Mexican, U.S. or any other vehicle manufacturer. In 2011, there were 77 million cars, light goods and SUVs, sold worldwide. 2012 saw sales of 81 million, and last year that reached 85 million. By 2018, the world is expected to reach 104 million. Most of that growth will come from China, South America, and South-East Asia. The world is a-buzz, a hive of activity, as trade and commerce travels around the globe as the world turns, and the sun appears over the Earth’s eastern horizon, only to disappear some hours later, depending on where in the world the worker lives and their latitude. But unless, you are mistaken, no truck, ship, train, plane, or rocket takes off to trade with another planet. It is a closed commercial system. Value accumulated on one side of the planet comes from increasing the stock of goods and services, and from extracting value from others. It does not come from outside the planet. What affects one side of the planet, affects the others. As one side of the planet accumulates, Dollars, Yen, Pounds, and Euros, and all manner of metals, both rare and widely available, precious and semi-precious, and quietly putting them into vaults, or in warehouses. On that side they are also accumulating holdings in suppliers that give them control, or serious stakes in smaller mining and refining businesses. On the other side of the world, Americans are accumulating debts and losing their wealth to their Bankers who hold their government in debt to the respective owners of this central Bank – The Fed – $17 Trillion and counting. Who has the right idea? The world is transitioning. We are moving from the computer age, the PC age, to the information age, where “Big Data”, and “Cloud Storage” is being touted as the way that governments and corporations can grow their revenues. And, as old industries are dying, new ones are just beginning to emerge and grow. Research and development is going on in labs in Bio-Tech, Energy, Rare-Earths and special metallic elements, and alloys – Beryllium and Thorium, and the 17 Light and Heavy Rare earths. Where will it all take us? End of the Banking Industry as we know it? On November 30th, Switzerland goes to the polls. Not to elect a government, or President or any other official. No, the people of Switzerland, concerned at their Central Bank’s abuse of its monetary powers, are voting to return to a partial gold Standard, which would require the Central Bank to carry at least 20% of its reserves in Gold; would not be able to sell any, and would have to return to Swiss soil, any bullion held overseas. Germany too recently asked to repatriate its Gold holdings at the Fed, all 674 tons of it. To-date, the Fed has been able to send back just 5 tons, and initially stated it would take 7 years, though at current rates it would take over 150. And nobody really knows exactly how much of the 1,040 tons of Swiss gold is actually stored at the Fed. And we can only guess how soon the Central Bank would start to accumulate, and at what rate if the vote goes against them (the earliest opinion poll gave the ‘Yes’ camp a small lead). But if or when they do, the dollar is toast, as physical bullion begins being bought, and the market cannot deliver. When this happens, the premium (the physical price over the paper price) begins to rise. Back in 2011, the premium reached over $50, as India, and China, Russia and the other BRICS nations began their stealth abandonment of the dollar. India has recanted somewhat on its deal with the devil, as the Indian public began buying Gold and Silver to protect themselves from what is to come, before they (the Indian government) slapped a 10% sales tax on Gold, and instigated legislation requiring that 20% of precious metals be re-exported in value-added form. The so-called 80:20 rule. But Indian manufacturers have been getting creative. Some industry insiders say that manufacturers are turning the gold bars into chains at a mere 1.5% premium, for export, and then re-buying it back as a bar. Following the legislation, precious metals dealers harangued the government, and the people of India began buying silver with both hands. And a new trend emerged as young Indians began buying 18 carat gold, rather than the 24 carat of historical norms. However, the Indian Commerce Ministry figures also showed gold imports trebled at $2.04 billion in August 2014, compared with the same period a year ago. In August last year, imports totalled $739 million after the RBI imposed the 80:20 rule. According to the Gems and Jewellery Promotion Council’s provisional data, gold jewellery exports have doubled during April-August this fiscal year compared with the same period last year. Data also shows exports rising to $2.12 billion against $1.04 billion a year-ago. The Commerce Ministry data showed gold and other precious metals jewellery rising nearly 25 per cent during April-July compared with a year-ago but Gold imports, on the other hand, were down nearly by half during the period. I’ll leave you to decide whose figures are most accurate… And in the run up to the Indian celebration of Diwali, gold imports soared five-fold over 2013. And are expected to run at 70-75tonnes per month for the rest of the year. On the one hand, the trade is complaining that gold smuggling is affecting their business badly, but on the other… “When asked how they are managing to get gold, jewellers say that 70 per cent of their demand is met through smuggling,” said Satish Bansal, Managing Director of MD Overseas Ltd, at a gold convention in Pune recently. China too has been quietly accumulating. And we know (or strongly suspect) from document FT900 (see previous article) that some of the Gold has been secretly coming from the Fed’s vaults at the rate of circa 200+tons a year. He released the information live on air, in the chamber of the House of Lords, and those interested can still find the piece on YouTube. But also via the Fed’s FX liquidity swap lines the Fed also bailed out foreign Central Banks, which in turn took the money and funded their own banks. It turns out that is only half the story: we now know the Fed also acted in a secondary bail out capacity, providing over $350 billion in short term funding exclusively to 35 foreign banks, of which the biggest beneficiaries were UBS, Dexia and BNP. Since the funding provided was in the form of ultra-short maturity commercial paper it was essentially equivalent to cash funding. In other words, between October 27, 2008 and August 6, 2009, the Fed spent $350 billion in taxpayer funds to save 35 foreign banks. Until such time as nature reasserts itself, we will have market gyrations. The Fed is manipulating the market, and the oscillations of the last two weeks as various commentators have mentioned is because of this, the alternative, is that the Fed is finally wiped out – one way or another. The Fed in the 08 crisis, also bailed out Barclays and RBS, to the tune of $640 Billion to help these two banks to buy the assets of Lehman Brothers, presumably in the UK). The $350billion in short-dated paper, was the equivalent of re-capitalizing these banks. And four days ago, 25 European Banks failed stress tests, forcing them to raise extra capital to reinforce their balance sheets. When the inevitable happens, the solution to this might just be… to get a whole lot wealthier, and there are two companies I feel, could help in that regard. One is a Corporation I’ve been researching from North Virginia… Lightbridge Corporation (US:LTBR), and is one of these companies hinted at earlier. Lightbridge holds U.S. Patent number – 8,654,917 and this provides for a method to develop and use nuclear fuel-rods, that contain Thorium, in such a manner, that this enables existing Nuclear Reactors, including PWRs (Pressurised Water Reactors) which are commonly used in American Nuclear facilities to get better power output, while lowering costs, reducing the risk of meltdown, as the vessel operates at reduced temperature (1,000 degrees less) and the waste material is only one tenth as dangerous when the spent fuel is stored, allowing greater storage density thus saving capital costs going forward, and almost completely eliminating the production of enriched plutonium, thus limiting scope for the further proliferation of nuclear weapons. The benefits on the face of it, will give energy producers scope to compete on favourable terms with other more unreliable energy sources, and even compete favourably with Liquid Natural Gas and Compressed Natural Gas. And the number of new reactors proposed or being built, despite the political reticence since Fukushima in 2011, is rising rapidly, even in places like the middle-east – such as Syria, Egypt, Iran and Saudi-Arabia. “Lightbridge is a US nuclear energy company based in McLean, Virginia with operations in Abu Dhabi, Moscow and London. The Company develops proprietary, proliferation resistant, next generation nuclear fuel technologies for current and future nuclear reactor systems. The Company also provides comprehensive advisory services for established and emerging nuclear programs based on a philosophy of transparency, non-proliferation, safety and operational excellence. Lightbridge’s breakthrough fuel technology is establishing new global standards for safe and clean nuclear power and leading the way to a sustainable energy future. Lightbridge consultants provide integrated strategic advice and expertise across a range of disciplines including regulatory affairs, nuclear reactor procurement and deployment, reactor and fuel technology and international relations. The Company leverages those broad and integrated capabilities by offering its services to commercial entities and governments with a need to establish or expand nuclear industry capabilities and infrastructure. And the UK., too recently announced the Hinckley ‘B’ power station would be built by French Nuclear Energy Giant – EdF. Lightbridge also has a $52 million order backlog it’s plugging through right now… and orders keep on pouring in, for consultancy services. Now any company where the senior management doesn’t have substantial shareholdings, concerns me, but thankfully the Company’s largest shareholder is the CEO, and co-founder – Seth Grae, currently holding 1,255,008 shares representing 8.33% of the total stock. Access to a large Thorium mineral reserve will be important too, and fortunately for Lightbridge, a new vein system has been discovered in Nevada. Quite frankly, if their material is widely adopted – and why wouldn’t it? – then LTBR’s stock price can only go skyward. Given that they are currently less than $2, and with just 15 million shares in issue where the market capitalisation ends up is considerably higher. Over the longer term, I suspect this will be at least 10x higher. In the past, mining these ores was not the problem, but refining them was, as these ores are Chromium rich, which frequently caused problems with the arc furnaces. The company bought the site and the technology in an exclusive licence agreement to use an alternative roasting and smelting process called ConRoast, which was developed originally by Mintek. Mintek, is South Africa’s national mineral research organisation, and reports to the Minister of Minerals and Energy. Mintek, licenced the new technology to a small miner called Braemore Resources, who ran out of cash during the last financial crisis, and who merged with the company in question. Its prime development asset is the Tjate Platinum project, where it has a 63% interest, and which covers 5,140 hectares adjacent to Anglo Platinum’s Twickenham and Impala Platinum’s Marula operations. According to independent estimates, the project’s exploration area could contain some 65 million ounces of platinum, palladium, rhodium and gold. At the moment the total is 20.4 million ounces in the inferred category, and 1.97 million ounces indicated, but there is clearly more to come. Tjate can already be described as the world’s largest undeveloped block of defined platinum ore. Given the above projections for vehicles, and given that most of those vehicles will require catalytic converters, that use PGMs to reduce noxious gases from exhausts, the demand for platinum, and palladium are going to rise, and therefore, shortages are inevitable. China’s smog problems will only get worse, unless each oil-based energy source uses catlysts to remove toxic emissions from exhaust gases. The company’s technological lead, and patented technology until 2018, should see a rise over the longer term. 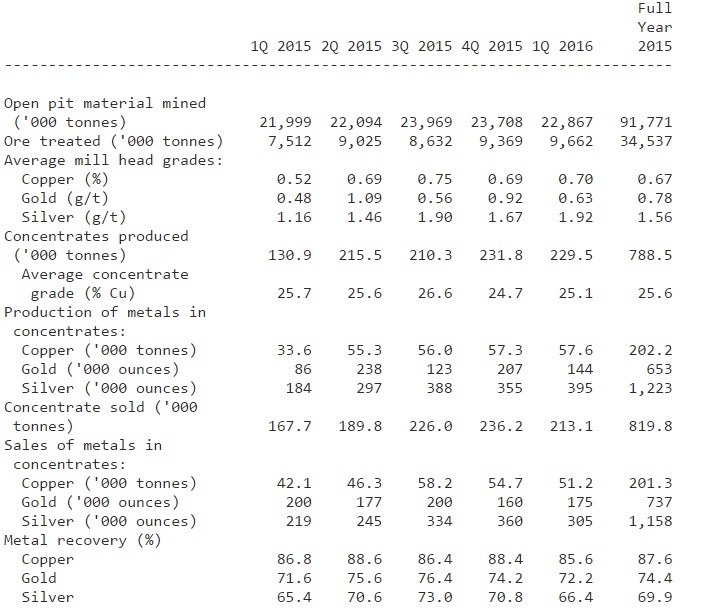 And stocks of both of these precious metals are at lows… Jubilee Platinum (JLP:AIM) the company in question which has fallen to interim lows, might just be the turnaround target of larger more cash-rich majors. My rating for both corporations is a medium to longer term – BUY. No shares are currently held by anyone connected with this story, and will not be for a minimum of 72 hours from the posting of this story. The story is meant purely for educational purposes, and any rating is for personal use. The reader is strongly advised to seek professional guidance as to any share purchases. Share prices can go down as well as up, and you may lose considerable sums by choosing to invest in them. The author accepts no liability for actions taken by, or on behalf of readers. This entry was posted in Political Economy & Finance and tagged Bankers and speculation., Big Banks, China, Commodities, Gold, metals, Palladium, Platinum, Silver, Steel, Thorium, Vehicles.